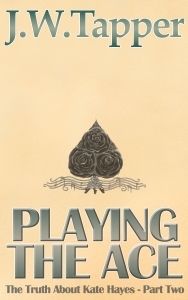 I have dropped the price of Playing The Ace, the second book in the series The Truth About Kate Hayes, to mark the imminent release of the third book in the series – Painting The Dragon. This means that the first two books in the series are 99p/99c each. The Kate Hayes series is now officially labelled Fun, filthy, feel-good bloke-lit. Because why not? Anyone who feels excluded by that sub-genre should embrace their inner rebel and just read the damn books anyway. This entry was posted in Blog, News and tagged playing the ace, price drop by johnt321. Bookmark the permalink.